Mayor de Blasio has just issued a travel ban for New York City. The mayor restricted travel in all cases except emergencies beginning at 2:30 p.m. today. The latest forecasts anticipate approximately 20 to 25 inches across New York City. The mayor also urged Broadway theaters and restaurants to close for the day. UPDATE: The travel ban was lifted on Sunday at 7 a.m. In addition, the MTA has also just begun a service shutdown. I an email to neighbors, the Stuyvesant Town-Peter Cooper Village Tenants Association shared the announcement from the Transit Authority. For more information, visit http://www.mta.info/. UPDATE: As of 7:45 a.m. Sunday, all MTA Bus and Access-A-Ride service was restored. Commuters have been warned to expect residual delays. All elevated MTA subway lines will resume service Sunday, January 24, at 9 a.m.. Metro-North Railroad service will begin restoring service at noon. Long Island Rail Road is still suspended and is expected to be restored Monday morning, January 25. Expect residual delays and check MTA for updates: http://alert.mta.info/. UPDATE #2 at 9:02 a.m.: The outdoor sections of the following MTA subway lines will remain suspended until further notice due to on-going snow clearing operations: A, Q, N, L, S (Franklin Ave Shuttle) and Staten Island Railway. Additionally, bus customers should expect delays and service changes throughout the day. For the latest information on subway service and bus routes visit: http://www.mta.info. The East River Ferry service has also been suspended until further notice. For more information visit http://www.eastriverferry.com/ServiceAlerts/. Additionally, The New York City Department of Transportation, in conjunction with the Department of Sanitation, on Saturday announced that Alternate Side Parking Regulations will be suspended Monday, January 25 to allow for snow removal. Payment at parking meters will remain in effect throughout the city. UPDATE: ST/PCV General Manager Rick Hayduk sent out an email on Saturday evening to brief tenants on the status of snow removal and other issues. “The snow continues to fall at this hour and it is reported we are to receive even more snow before it tapers off around midnight. “The PCVST team has been at work since midnight to stay on top of the snow removal. Right now, we are focused on clearing the drivable roads ensuring access for emergency vehicles along with terrace level entry and exit points. In addition, we are clearing the perimeter sidewalks but struggling to keep them clear due to drifting snow off of 1st Avenue and 20th street. Know that over 50 of our team are out in the storm operating machinery and shovels to keep the roads and pathways safe. “Inasmuch as Mayor de Blasio has asked everyone to stay inside, for those who do venture outside, be warned that there is significant black ice (under the snow pack and covering cleared areas) and snow drifting. Conditions are dangerous and we also encourage everyone to stay inside. “With the expected termination of the snow around midnight, the team will continue to work into the early morning to clear roads and paths in preparation for the tomorrow’s activity. Our equipment will continue to make noise and as such, we ask for your forgiveness. “PCVST’s Sunday services operation will be limited as we return the complex to normalcy. As always, the resident services representatives are on the phone to take any emergency calls. We ask that any non-emergency calls be held until Monday simply because we are not sure how many associates can make it to PCVST tomorrow. Trash pick-up today was extremely limited and it is expected that tomorrow’s pick up will be as well solely due to the sanitation team assisting with snow removal. As for all other services and activities (Oval Concierge, ICE, Oval Café, etc. ), it is a fair assumption that they will not operate tomorrow but will return to normal operating hours on Monday. “We are grateful for your patience and want you to know that the dedicated associates of PCVST are tirelessly working to get us back to normal as quickly as possible. UPDATE on Sunday evening: Hayduk sent out an updated memo to tenants on the status of snow removal and to warn motorists not to double park on the Loop Roads or they will get towed. “Thank you for your continued patience as we clear roadways, paths and sidewalks. As of this hour, the team has made great progress but our director of horticulture (and snow removal), Chuck Hartsell, reports we’re at the 75%-80% mark. The remainder of the clearing will be a bit slower due to the volume of snow restricting the use of plows. We’re focused on widening the drivable roads but must use the smaller equipment that lifts and removes the snow. In addition, we continue to salt all areas and the melting process will be expedited as the sun hits these areas. “All terrace level entries are clear but in some cases, such as the buildings on 1st avenue, the main entries remain under significant snow. Once the bobcats are finished with the road widening, they will move over to the few entries that need removal. We will be out with the equipment until midnight so we ask for forgiveness for any noise created. “Regrettably, some residents are double parking on the loop roads. Those vehicles will be towed as we cannot risk emergency vehicles being restricted from passage. If you are or know of said owners, ask them to remove them immediately. We also ask residents to refrain from leaving boots and other items in the hallways. The porters are on their normal schedule but sanitation removal continues to be restricted. We’re back to normal tomorrow. “Also, with the warming temperatures, icicles and snow are falling from air conditioning units and window sills. Please, proceed with caution whenever exiting or entering the buildings. “We’ve opened Playgrounds 1 & 7 along with the perimeter areas of the Oval. These areas have seen some great snowmen and igloos. I’m confident the next generation of New York’s engineers and creatives are coming out of Stuy Town and PCV. “ICE was opened a couple of hours ago. Andrew and the ICE team dug out the equivalent of a speed skating circle for skaters. We expect to have the full rink open tomorrow by 4pm. The tented basketball courts are open as is the Oval Café. All other amenities will be open tomorrow with business as usual. Lastly, our resident services team remain on the phones if you should need anything at 212-420-5000. We ask once more to hold off on non-emergency requests until tomorrow so we can focus on the clean-up. 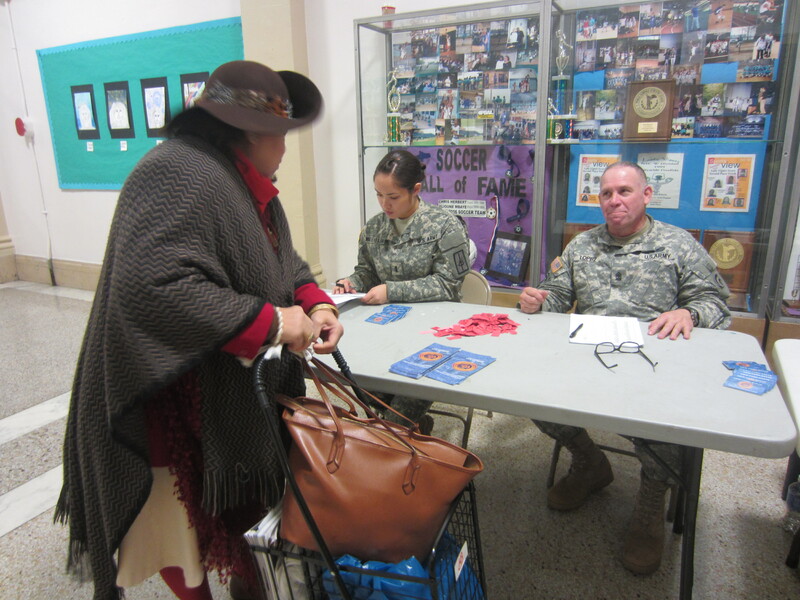 Over 700 community residents, many from Stuyvesant Town and Peter Cooper Village, received training in emergency preparedness from the New York National Guard last Thursday evening, courtesy of a program initiated by Governor Cuomo and designed by the Department of Homeland Security. The training was led by Captain Glenford Rose, who advised area residents to be aware of different kinds of emergencies, including fires and gas leaks, and not just Sandy-like disasters. Rose reminded residents, who had packed the auditorium at the High School for Health Professions and Human Services, to stock up on supplies and to have a kit ready with everything needed in an emergency. Participants at the training received a knapsack full of necessities, but Rose emphasized that this kit was just a starting point and noted that individuals should make sure to customize their kit for their needs, such as accounting for pets, special medications and adding in various important documents. Councilwoman Rosie Mendez was at the event and had a tip of her own: fill the bathtub with water. A number of other local elected officials were involved in the event, including Assemblymember Brian Kavanagh, Manhattan Borough President Gale Brewer and Congresswoman Carolyn Maloney. City Councilman Dan Garodnick and State Senator Brad Hoylman also made appearances at the event, with both offering opening remarks for the training. Garodnick recounted his experience with a group National Guard troops during the aftermath of Hurricane Sandy, in which he led about 50 servicemen and women all the way through Stuyvesant Town, on a chilly November night while the power was still out, in an attempt to reach Waterside Plaza before they were met with a locked gate at the northeast corner of Peter Cooper Village. “That was the end of my military career,” Garodnick joked. 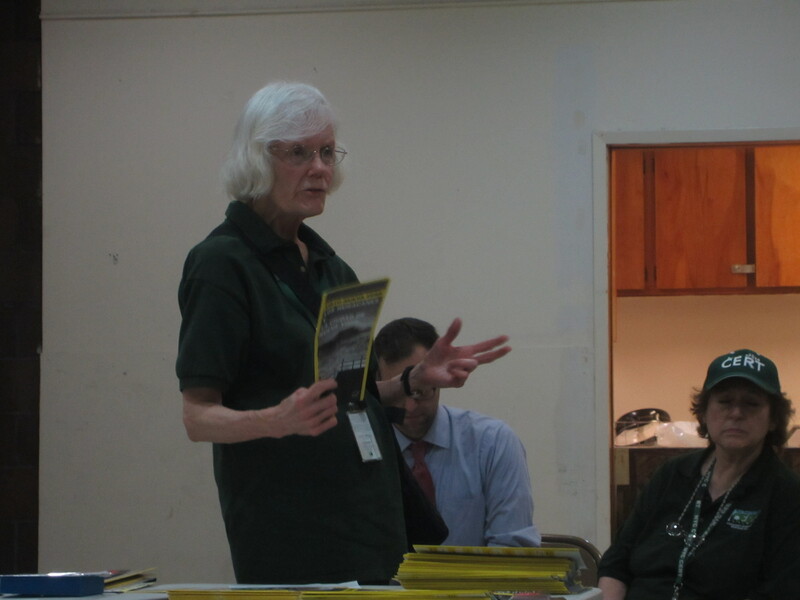 The Manhattan CERT team also collaborated on the event with the governor’s office, in addition to New York State Community Affairs, the PCVST Management office and the ST-PCV Tenants Association. Ready New York liaison Virginia Rosario had put together 950 packets of materials to hand out at the event and ST-PCV Tenants Association president and Ready New York member John Marsh put together a flier that was posted in all Stuyvesant Town and Peter Cooper Village buildings, courtesy of management. There were 739 people at the training meeting, which wound up being the highest number of people that have been trained at a single event. 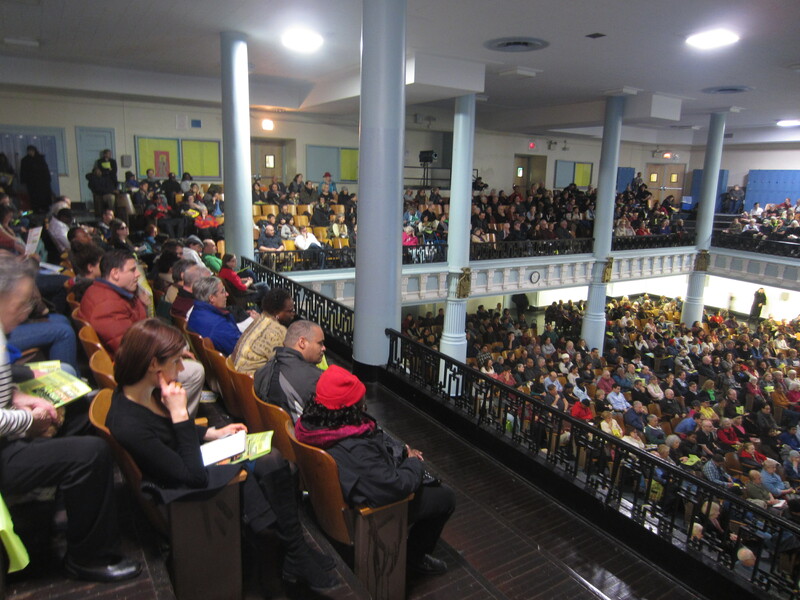 Following the training last Thursday, there was an additional event in Lower Manhattan last weekend where 455 people were trained. Since the program was launched in February, the New York State National Guard has held 205 of these events and trained 27,245 people. Erik Bottcher, a representative from Governor Cuomo’s office, said that he was thrilled with the turnout and said it probably won’t be the last opportunity for residents to find out about emergency preparedness. Garodnick noted after the event that the chaos following Hurricane Sandy increased awareness for emergency preparedness and since then the number of these kinds of events has increased. Alexandria Wiedenbaum, who has been in the Army National Guard for over two years, usually leads trainings in Staten Island with Sergeant Major Armando Lopez. There are eight teams of throughout the state and each team is responsible for a different region, but Wiedenbaum said that she and Lopez, as well as others from teams throughout the state, had congregated at the Thursday training, because it was such a big event. An meeting on emergency preparedness will be held Thursday, November 20, 6-8 p.m., at the High School for Health Professions and Human Services (old Stuyvesant High School), 345 East 15th Street, between First and Second Avenues. There is a disability entrance on 16th Street with an elevator to the main floor. 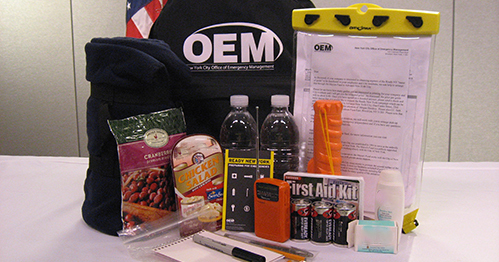 At the end of the session, attendees will get a free go-bag packed with items essential to have in an evacuation situation. Participants must register in advance at www.nyprepare.gov. To receive the go-bag participants must register and attend. 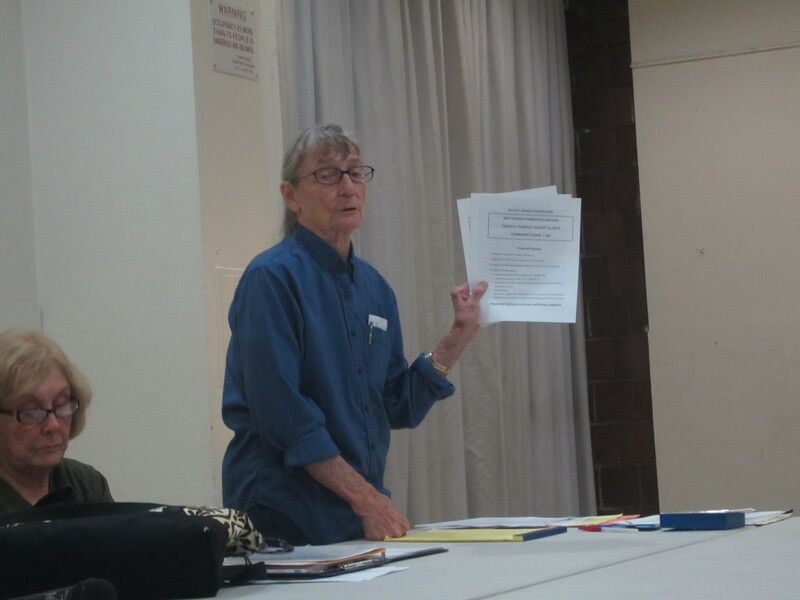 A general meeting of the Stuyvesant Town-Peter Cooper Village Tenants Association will be held in the auditorium of Middle School 104, East 20th Street between First and Second Avenues, on Saturday, December 6 at 1 p.m. Doors will open at 12:30 p.m, and seating is on a first-come, first-served basis. More details will be provided at a later date. Cub Scout Pack 422 is holding food drive on Sunday, November 16 to benefit New York Gospel Mission which is an organization dedicated to feeding our local men, women and children from 10 a.m.-5 p.m. The drive will take place at Trader Joe’s at 14th Street, just West of Third Avenue. Most requested non-perishable items are: canned vegetables, pasta, canned fruits, rice, canned fish, baby food, canned soup, crackers, boxed macaroni & cheese, dried fruit and nuts, cereal and juice. The Cub Scouts will be in front of Trader Joe’s to help with food selection or to even shop for your donation. The management of Stuyvesant Town is asking residents to donate to two community drives, a coat drive that will benefit New York Cares and a food drive benefiting City Harvest. For the food drive, nonperishable foods such as canned and boxed goods will be accepted through December 17. The items will then be distributed by City Harvest to over 500 community food programs. For the coat drive, gently used coats and jackets for adults and children will be accepted through December 26. The coats will be distributed to New Yorkers most in need by New York Cares through local churches, schools and shelters. The dropoff point for both drives is the Stuyvesant Town management office at 276 First Avenue. This will also be the dropoff point for the Town & Village holiday toy drive benefiting Beth Israel, with donations being accepted through December 12. For local entertainment events such as concerts, theater, comedy, children’s activities and art exhibits, see our Around & About section. 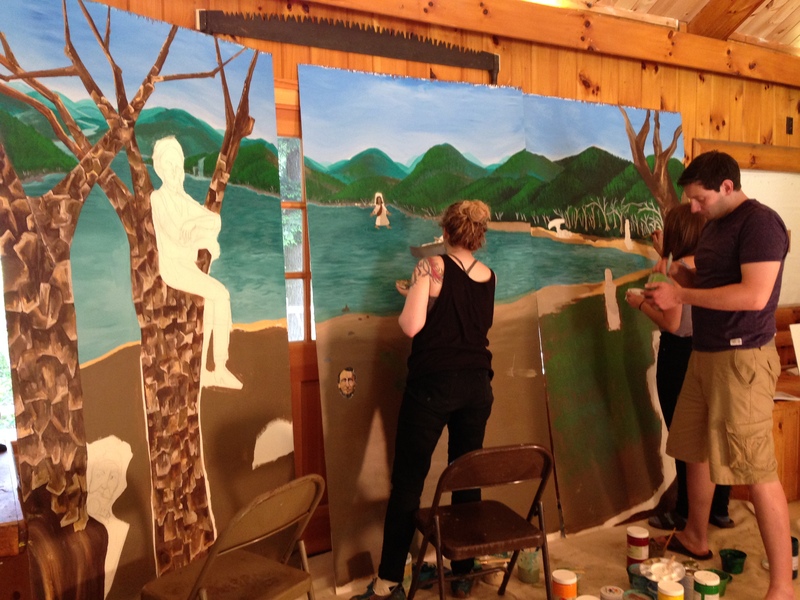 For listings of free events happening throughout the city this week, see Cutting Corners. For health and fitness events such as screenings, support meetings and classes, see our Health and Fitness section. To see what’s going on service and program-wise at different houses of worship, see our Religion in the Community section. Bellevue Hospital Center will get a $376 million slice of federal money to cover the cost of putting right damage caused by Hurricane Sandy. Mayor Bill de Blasio and U.S. Senator Charles Schumer announced last Thursday that the city has secured $1.6 billion in federal aid from FEMA to repair the city’s public hospitals damaged during Hurricane Sandy two years ago. With its share of the cash, Bellevue will install flood-proof elevators, storm pumps and a flood wall. “The entire New York Congressional Delegation came together to fight for these funds, and wisely sought resources not just for repairs, but also for mitigation,” said Congresswoman Carolyn Maloney, in whose district the hospital is located. According to Bellevue authorities, much of the damage caused by the 2012 superstorm has already been repaired and the fresh FEMA funds will reimburse HHC for those repairs and mitigation work. Many pieces of critical equipment, such as electrical switching gear, have been relocated out of the basement to higher elevation on the first floor and the hospital has installed removable flood barriers at the two loading dock entrances facing the East River. With the impending arrival of hurricane season, the Federal Emergency Management Agency and Office of Emergency Management have begun releasing preliminary data on flood hazards and evacuation zones. FEMA released new maps on June 10 based on the best available flood hazard data. The maps are only preliminary but there are already noticeable differences between this year’s and last year’s versions of the flood zones for Stuyvesant Town, Peter Cooper Village and Waterside Plaza. The preliminary map can be found at region2coastal.com. According to the 2012 map, Waterside Plaza, Avenue C, one block of East 23rd Street, less than a block of East 14th Street and only part of the Avenue C loop had a 0.2 percent chance of flood. On the preliminary map for this year, Waterside Plaza is in a zone with a one percent or greater chance of flooding and has an additional hazard associated with storm waves. East 14th Street to the 14th Street Loop, Avenue C, the Avenue C Loop, the 20th Street Loop, East 23rd Street to First Avenue and all of Peter Cooper Village to the 20th Street Loop have a one percent annual chance of flood hazard. Part of the 14th Street Loop and the Oval are also now in a 0.2 percent annual chance flood hazard zone. However, the FEMA maps are intended to assist communities and property owners understand flood risks and are created for flood insurance purposes. They are not meant to designate evacuation zones. A spokesperson for the Office of Emergency Management said that there are sometimes overlaps between OEM’s evacuation maps and FEMA’s flood hazard maps, but they are based on different criteria. The evacuation zones designated by OEM are based solely on the area’s vulnerability to storm surges and are based on life safety, while the flood hazard maps from FEMA tell homeowners what the risk is for flooding over a period of years, and not just due to storm surge. Creeks and streams are taken into account in FEMA’s maps so a building can be located in a flood zone but outside an evacuation zone. The evacuation zone map from OEM is still preliminary and hasn’t been officially released yet but some changes have already been made, including a switch from letters to numbers to designate the zones. The new zones, from one to six, include an additional 640,000 residents that were not included in the boundaries of the former zones, according to the Hurricane Sandy After Action report that was released by the mayor’s office in May. There is a link for an evacuation map on the Stuyvesant Town-Peter Cooper Village Tenants Association Facebook page, but this map is only a beta site with preliminary zones and it is not always accessible because the maps are continually being updated, according to OEM. When the official map is released later this month, it will be available at nyc.gov/hurricanezones. 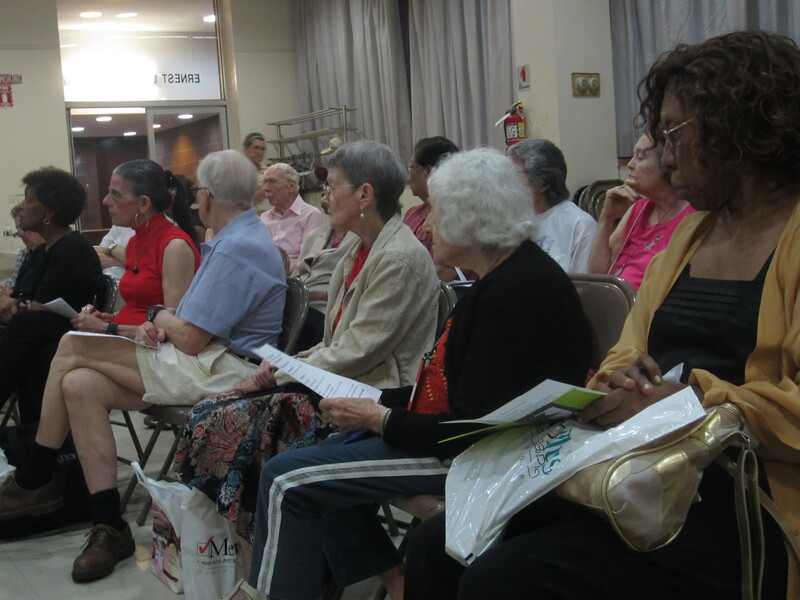 The Midtown East-Stuyvesant Community Emergency Response Team (CERT) was planning to give a presentation at the Community Board 6 full board meeting on Wednesday evening about updates to the evacuation zones based on the link posted to the TA’s Facebook page. However, CERT chief Pat Sallin said on Wednesday morning that they have cancelled this to prevent spreading misinformation based on the posted link. Presentations from CERT have also been planned for upcoming 13th Precinct and 17th Precinct Community Council meetings, and Sallin said that those presentations will be dependent on whether or not OEM has officially released maps with updated evacuation zones. As of T&V’s press time, the next 13th Precinct Community Council meeting, set to take place on Tuesday evening at 6:30 p.m. at 230 East 21st Street, will have an update on NYC Coastal Storm Evacuation Zones. 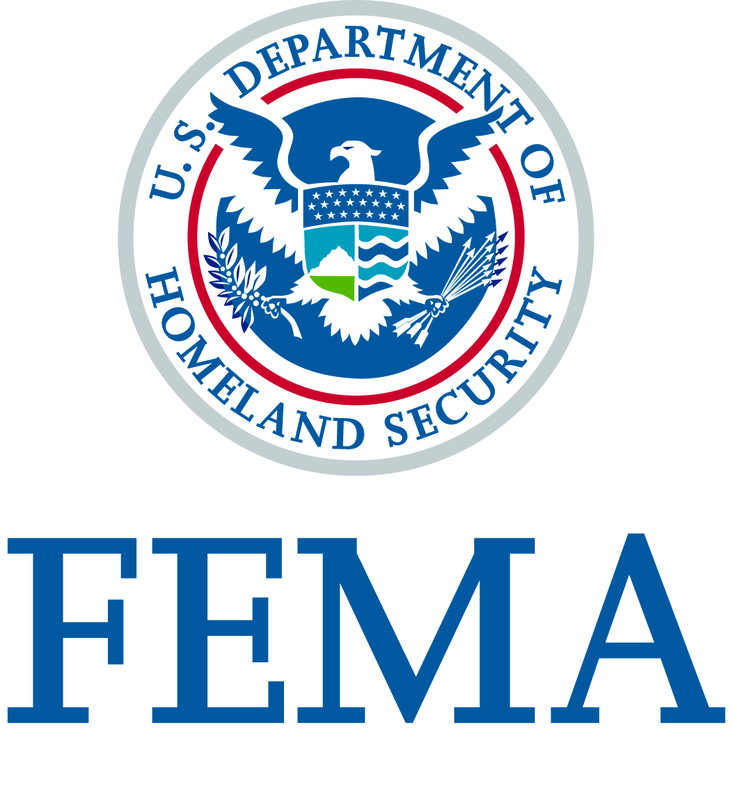 Community residents are invited to The Stuyvesant Town Community Center on Tuesday, January 15th from 10 a.m.-12 p.m. to learn about their options for FEMA assistance, the office of Assembly Member Brian Kavanagh has announced. FEMA representatives will be on hand to answer questions and to help those in attendance register to apply for assistance. You may be eligible for assistance if your apartment was made unlivable as a result of the storm, if you had disaster-related damage to a vehicle or if you incurred moving or storage expenses due to Sandy. The Community Center is located at 449 East 14th Street. (Enter via First Avenue Loop at 16th Street and First Avenue). If you cannot attend the event, you can find more information about applying for FEMA assistance atwww.disasterassistance.gov or by calling1-800-621-3362. The deadline to register for assistance is January 28th. Disclaimer: This event will be run by FEMA and they will not be able to address rent abatements offered by Waterside Plaza, Stuyvesant Town or Peter Cooper Village management. The following message has been sent out via email by the Stuyvesant Town-Peter Cooper Village Tenants Association. right on the border of Zone A, making us particularly susceptible to storm surge. The most immediate known effect will be the loss of steam, and thus, hot water. affect cold water at this time. This email is designed to answer the most frequently asked questions from residents. When will the storm hit? When will I know if I need to evacuate? are subject to a mandatory evacuation by order of the Mayor by 7:00 p.m. today. If I need to leave my home, where should I go? centers are also available to you. Where is the nearest evacuation center, and when will it open? open. I went over to Baruch earlier today, and they are open and ready for evacuees. Can I go to an evacuation center even if I don’t live in “Zone A” area? Yes. Evacuation centers will not turn anyone away. What should I bring with me if I evacuate? phone numbers), and contact and meet-up information for your household. and a cotton sheet to place over the pet’s carrier to keep it calm. are many trees, whose branches are vulnerable in heavy winds. If the bottom of my building floods, is it safe to stay on the upper floors? Will the gas and water work in my building if there is a power outage? frequently drain from use within 2-4 hours of an outage. fill water jugs or other containers to ensure that they will have enough water around. If the building floods, is it safe to drink my tap water? the safety of drinking water. Will we lose power if the building floods? What else should I do in the event of a power outage? circuits when power is restored. There is a 72-hour battery backup for the keycard system. Are tenants on upper floors supposed to take shelter on floor 10 or lower? What’s going on with our cars? also may want to move their cars to higher ground. or pans with tap water in your kitchen. –Turn off all lights and appliances. Parking on the street carries risks from flying debris and extreme flooding. in our community, which has many mature trees. at 9pm tonight. Until then the MTA has increased service to assist with the evacuation. All public schools are closed tomorrow, Monday, October 29th. All Senior Centers are closed Monday and Tuesday, October 29th and 30th. *Call Resident Services at 212-420-5000 to report a maintenance emergency. The Office of Emergency Management is monitoring Sandy. According to New York City’s Office of Emergency Management, at the time of this posting, Hurricane Sandy is moving northward off the southeastern U.S. coast., but its precise track is still unknown. Additionally, though the effects of Sandy on the city are also still unknown, high winds in excess of 100 mph are expected. On Friday afternoon, CW Capital/CompassRock issued a resident alert regarding hurricane Sandy. Residents should expect to get the notice under their doors. Management is asking that residents take the following precautions and maintain: water, non-perishable food, a battery operated radio and a working flashlight and extra batteries, rather than candles. Residents are also being asked to make sure cell phones are charged and check in on neighbors. Other precautions include closing and locking windows and shades, keeping folded towels on window sills to absorb leaking water and staying away from windows. Residents who park in Stuyvesant Town Garage 3 or 4 should move their vehicles somewhere outside the flood zone by 8 a.m. on Monday, October 29. More information can be found online on the website of the NYC Office of Emergency Management. Updates will also be posted on the Stuyvesant Town website. If you see downed electrical wires, do not go near them. Treat all downed wires as if they are live. Never attempt to move or touch them with any object. Be mindful that downed wires can be hidden from view by tree limbs, leaves or water. Avoid opening your freezer to see if food is still frozen. Every time you open the door, room-temperature air enters and speeds the thawing process. Most fully loaded freezers will keep food frozen for approximately 36 to 48 hours; half-full freezers will keep food frozen for approximately 24 hours. UPDATE: The city has issued a map of evacuations and non-evacuation zones, the evacuation zone being A. Zone B faces a “moderate” risk of evacuation. The closest shelter is located at Baruch College, 155 East 24th Street. The map can be viewed here. To see what zone your building is in, visit the Office of Emergency Management’s Hurricane Evacuation Zone Finder. Sanitation Commissioner John J. Doherty today reminded New Yorkers that the Department of Sanitation is continuing to register emergency snow laborers who can be called upon to remove snow and ice citywide from bus stops, crosswalks, and from step streets in sections of the City after heavy snowfalls. Step streets are sets of stairwells located between avenues to connect streets that have a significant height differential. The rate of pay begins at $12 per hour and increases to $18 per hour, after completing the first 40 hours, each pay week. The following notice was sent out earlier by Rose Associates to ST/PCV residents offering preparedness tips and property alerts for this weekend. – Check supplies: Food and water is available, emergency supply kit is stocked, “go bag” is ready, cell phone is charged, and battery operated radio with extra batteries is handy. – Check on friends and neighbors especially those who are elderly or have disabilities or special needs and require assistance with their preparation. – Stay tuned to local radio and TV broadcasts for the latest information. – Minimize your exposure to the outside elements. Stay inside. – Stay in your apartment in a room with few or no windows. Locate the nearest exit stairway. – Determine a location outside of your building for members of your family to meet in the event you are asked to evacuate. Follow any mandatory evacuation procedures issued by the NYPD or any City, State or Federal agency. Call 911 and Call Public Safety at 212-598-5233 option #3 in the event of a medical emergency requiring special assistance. Call Resident Services at 212-420-5000 to report a maintenance emergency. OVAL Fitness will close at 3pm and all Playgrounds will close at 4pm. Oval Kids, Film, Lounge, Study, the Oval Lawn, and the Community Center will be closed this weekend, August 27th & 28th. All of the property parking garages are located within the City’s designated flood zone. IMPARK, the parking garage operator, has been advised by the Mayor’s Office of Emergency Management that due to the City’s flood evacuation declaration, residents should move their cars off-site to an area outside the flood zone, as soon as possible. Vehicles should be moved from the garages no later than 4PM on Saturday, August 27th. Call IMPARK at 212-614-5895 for further information.